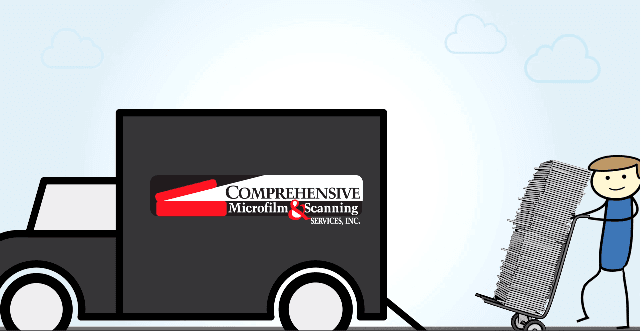 Scanning Services - Comprehensive Microfilm & Scanning Services, Inc.
Comprehensive Microfilm & Scanning Services, Inc. was established in 1991 and is located in Northeast Pennsylvania. We specialize in total document management solutions including scanning and microfilm services and equipment and supply sales related to the archival data field. James Wasilewski, President/CEO, has been perfecting his craft in the industry for over 40 years. In addition to our confidential and professional services, we offer a wide variety of software and hardware products customized to fit your firm's unique needs. Whether you need to reclaim office space lost to paper file storage or streamline customer service response time, we can help! Give us a call or e-mail us today for a free consultation. We are the Paper Problem Solvers! Check out our Paper Problem Solvers commercial!